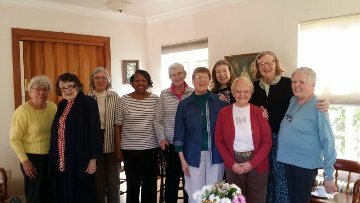 The Women’s Spirituality Group is taking a break for the summer. Starting in September, the Women's Spirituality Group meets the first Saturday of the month in the Guild Room from 10 a.m. to Noon. During this time together a member of the group shares a meditation and then we share our thoughts and experiences and how the reading has affected our life journey. We continue sharing our lives during a brief refreshment time. Next we take turns reading aloud from a book. Our readings and conversation reflect and inform our spiritual journey, as well as our relationship with God and with others. We close with prayers. If you have questions, please email Judy Williams at joyfulpond@aol.com or Mary Law at maryconleylaw@gmail.com.